Arts stream offers numerous career options and opportunities to students. It is a very traditional stream. This is one of the main reasons why this stream still has got takers in India! This stream is made up of parts like humanities, visual arts, performing arts, literary arts etc. In this article, you will be reading details about arts stream schooling (11th and 12th) such as- education boards available in India, important subjects to study, professional courses available after 12th, career paths and prospects. As mentioned before, arts stream is very diverse. This fact is evident from the studies involved in this stream. It covers wide variety of studies such as- visual arts (painting, sculpting, drawing etc), performing arts (music, dance, drama etc), literary arts (languages, literature, philosophy etc), history, law, humanities subjects, geography, political science etc. Thanks to the availability of such diverse areas of studies, career options associated with this field is equally impressive. After completing 12th Arts stream, students will have access to numerous professional courses focusing on areas like visual arts, law, performing arts, languages, management etc. In short, it can be compared to a foundation course. On completion of this foundation (12th standard), one may choose a professional course and thus take first step towards building one’s career. There’s a misconception regarding this stream among Indian students and parents. Many of them think that arts stream is only taken by students who are academically dull. Well, this fact is false! There exists many challenging subjects in this stream too, and it takes certain aptitude to perform well in its exams too! It is very much possible to build a rewarding career after pursuing science stream at PUC level! In fact, many subjects present in arts stream will help one prepare well for Civil Services examination. Let us take a look at the important education boards available in India (11th and 12th Arts stream). IB is the toughest board among the above mentioned entries. It focuses on the concept of ‘how to learn’. Much emphasis is laid on ‘application of knowledge’ and ‘practical aspects’ of learning. IB board is followed by ICSE board, when it comes to difficulty level. Then comes CBSE board. I think most of you are knowledgeable about this board. It functions under the Union Government of India. Difficulty level associated with this board is moderate. Last comes State Boards. Each State in India has its own education board. It functions under the respective State Government of each state. Language of instruction (medium) in case of schools affiliated to such boards are- regional language and English. Note: Not all the subjects have been mentioned above. Many of the above mentioned subjects fall under the ‘optional subject’ category. Students have to select optional courses and form a ‘course combination’ to pursue throughout 11th and 12th. Professional courses after 12th and career, to an extent, depends upon this course combination. There are two academic years present- 11th and 12th standards. In case of some boards and state boards (like Gujarat and Haryana), each academic year has been divided into two semesters, each semester lasting a period of 6 months. Main evaluation exams are held at the end of each academic year (at the end of each semester, in case of semester learning system). Note: Not all professional courses have been mentioned above. There exists other Diploma, Degree and Certificate courses too, which can be pursued after 12th arts stream. Arts stream students may pursue UG as well as PG courses and have access to diverse job opportunities (depending upon the professional course). Some of the well known job profiles are- Management professional, Lawyer, Teacher, Musician, Dancer, Artist, Performer, Actor, Businessman, Economist, Architect (with mathematics subject), Politician, Bureaucrat, Diplomat, Government employee, Archaeologist, Civil Servant (IAS, IPS, IFS etc), Defence personnel etc. Before selecting arts stream, do give a look at the career prospects available. Check whether you have the aptitude to pursue a career in this stream. This can be done through counselling sessions and field trips. Also check out list of courses after 12th Science and 12th Commerce. sir I have just given my SSC exam and I want to go to diploma courses sir but my maths is poor but I wish to go in architecture field by diploma but in that course there is maths subject so i am confused to take that field or not, so sir can you please guide me, or else you give me some ideas of other field sir plzz tell me about it. and sir is the maths is difficult in architecture by diploma, is maths is so difficult in it. Each field has its own difficulty level. There is no course which is very easy. If you are passionate about architecture, you may face the difficulty and choose that course. With hard work, you will be able to perform well in mathematics. I have given my SSC exam in that I got 63% sir i want to take arts stream but sir i am confused that what to do after my 12 std sir can you please guide me , my father is guiding me to go to LLB course after my 12th std sir can give me some opption. LL.B. is a good course. After 12th Arts, you may try integrated law course. Other than that, there exit many other courses like BA, CA, CS, Management courses, Journalism and Mass Communication, Visual Communication, Bachelor of Social Works, B.P.Ed., D.El.Ed., integrated B.Ed. etc. I have pursued arts and i want some more information regarding journalism and mass communication .is there a scope ? Yes, decent field with decent job and career growth opportunities. If you have the aptitude and possess required qualities, you may go on and build a bright career in this sector. Both are good fields. Creativity is required to thrive in both professions. Fashion designing has got scope, provided that you pursue the course from a reputed institute and you possess required skills and aptitude. Hi sir , I have passed in ssc board examination so I am choosing arts stream because I m interested in music . So is there music subject in arts in Gujarat board syllabus? Arts stream is not useless or devoid of scope. After arts schooling, you may go for relevant Degree courses related to travel and tourism, travel management etc. Then you may go for Air hostess training. You may also join air hostess training right after completing 12th standard. Greetings Sir. I have given my 10th standard case board exam in March, 2016. I got 96%. I opted for the Science stream because of my interest in becoming a Physiotherapist. But after my first term exam in 11th got over and my results came, I have found that I am not at all doing good and I have miserably failed in Chemistry, Just pass in Physics, Biology and Computer and class topper in English… I had chose PCB-Computer stream. But the problem now is that I no more want to continue in this stream and want to go on with my passion of becoming a Journalist. So which stream would be the best for me out of Commerce and Humanities? I am good at writing and have proper skills at communication. Sir, please do advice me on the consequences of the path I am going to choose and also some other career options. But as for now I choose to do 11th and 12th Humanities and then B.A.Journalism and then M.A.Journalism. Please do suggest some scope-ful colleges for me in India. Thank you. Arts and humanities stream will be good for journalism. Technically, you may pursue Journalism courses after completing 10+2 in any stream. I’m not knowledgeable about colleges though. I want to do ba literature.which course shall I choose after class 10. Arte stream will suit you. What is the difference between ba and ma. I’m not knowledgeable about colleges in Hyderabad. Please do search about colleges and their cutoff marks. This will help you know more about the quality of institutes and grade points required to secure a seat in a good college. BA is Bachelor’s Degree course, can be done after 10+2. MA is Master’s level course, can be done after completing BA. I’m studying in tenth standard right now and aiming to score 98+ in my exams.. I’m interested in psychology as well as reporting n anchoring in other words journalism.. A bit confused what to choose!! If you are a good orator, have confidence and want to contribute to the society, take journalism. Choose the field that you’re most passionate about. Sr i am going to pass SSC in March 2017. I want 2 become a geologist. So will it be right to pursue my career through arts by taking geography subject. It’ll be better to take Science stream. Doing so will enable you to pursue B.Sc. Geology course. i want do diploma after 10 of interior design can i do and i want to ask that in arts side in 11 there is no study releated to intirior design so is it imp to study it can we do after 10 the course so that my goal is on one thing only . If you pursue the course from a reputed institute, hotel management course can help you build a good career. I am a 10th grader. i have a lot of interest in arts. so i am planning to go for fine arts after 10th . Could you please tell me what all qualification should i have, to get selected in arts stream. Sir.. I am in a great confusion. I took arts and everyone is saying it’s useless. Am in a great dilemma. .can u plz suggest some career options for me… M in 11th class. Plz tell some career options and how should I achieve it. (the steps) please sir. Thnku. There are ample Government jobs that you can apply for. Complete 12th and pursue 3-4 years long Bachelor’s Degree course. After that, you may start applying for Government jobs that require a ‘Degree’. I am in 10th std and confused for 11th std which subject to select..I actually want to select arts stream n can I know which n all subjects come under arts n which to select plzzz help me out. Sir. I’m studying in 10th class I want to choose a arts stream but I’m confused in which board I should have to go? im in 10th and wanted to do event management so can i take arts? i hate maths and im love to creativity and do something different. Yes, you may take arts stream. You may pursue any stream. After 12th, pursue relevant courses like BHM (Hotel Management), BA in Culinary Arts, BCT & CA etc. Yes, after 12th arts, you will have access to good photography courses like BA in Photography, BA in Photography and Video Editing etc. Sir I am in std 10th and i am not intrested in any subjects. i am more intrested in dance, but ppl say there is no career option in it. i was sugeested to do fine arts.so plss cn u suggest me,….what to do after 10th. Take arts stream and go for dance oriented courses after 12th. Performing arts courses will be good. I understand the problem that you’re facing. Why not attend a counseling session? I mean a career counselor could help you out with aptitude tests. The plus point is that the counselor will interact with your parents too. Can u plz clear my confusion that i am in 10 now .Can i do architecture /architect with arts..? No, you can’t. You must take Science stream (in 11th and 12th) with Mathematics subject (Maths group). sir can arts stream help me in joining advertisements,serials basically to become an actor.I.E TO GET INTO FILM INDUSTRY? I want to do law for my future but i am really confused with the colleges. Can u please suggest some very good colleges in chennai? I’m not knowledgeable about colleges. That’s why I usually don’t list them in my articles and blogs. Arts is okay too. Civil Services exam conducted by the UPSC is highly competitive. I am average in math but parents are asking me to choose math after 10th to find more career options. Hi,sir I saw you replied to so many comments here so I hope you will answer mine too. I am in 10th and the result is next month I like SSC and I am opting for arts stream after 10th.The aim is to be a civil servent/administrator.All I wanted to know is I have got whole 5 years to prepare for it ,woUldale you recommend me how to do my best in these 5 years so thathat I get selected in my very first attempt. Anshika, as we all know, the UPSC exam is really tough. It gauges your aptitude and overall personality. I have’t had any experience so far, when it comes to UPSC exam. Still, I’m suggesting some evergreen tips – time management, consistency, study group (master group of like minded and ambitious aspirants), a good coaching class – these things will help you crack the exam. Hii sir i have just given my 10th class exam. Sir i want to known that if i choose arts with political science can i become reporter or go to media line. Ya mujhe commerce ya science lene par hi media mai ja sakti hu pls reply sir i need help. I want to become a news reporter. After arts stream, go for Degree course related to journalism. Hi good morning sir I have given exams of 12 examination from Pseb in arts stream( maths, economics,physical education) now I am pursuing ielts coaching after that I want to do bussiness management course. In Canada is it relevant? I just given my ssc exam nd waiting for result I want to choose arts where in I want to do master degree in foreign language.from where I can do it I live at Jaipur Rajasthan I want to choose it as my career plz help me out for this. Both are good options. CBSE will be slightly better. I want to become IAS officer and I am confused between arts and commerce . I know that I only need graduation in any stream for giving UPSC exams but I do not have any backup plan if I opt for commerce. please give me advice which stream I shoul pursue for ? Sir…. I love travelling…. I want to travel outside india….. N all tge countries…… Is arts have some… Courses for my interest?? Greeting sir. I am very clear to become journalist so what stream i choose after 10th board exam??? Plz plz guid me! !thank You!! Any stream will do the trick! hii sir .. i have just given my class 10 exam and i want to go outside the arena of my state for further studies ;;but my parents are not willing to send me outside and forcing me to study here without good coaching institutes??? Sir I just went through my 10th std exams and want to choose arts stream as I want to become a proffesor of English . my question is “Is PhD of English beneficial for my career”? Hello sir , i want go in for arts but i m confused what to do after 12th std ….. some people have advised me to go in for BBA but according to me i feel i should do BA in fine arts or in animations ….. coz i m interested in art music drawing sketching & creating new things….. If you are passionate about it, go for BA. In case you want to do a management course, you may go for MBA after completing BA! Sir I have just given my 10th examination in icse board and I wud like to go for arts as a subject ahead, yet confused in the colleges what all subjects will b provided? I having a goal to b and activist in India for India I am confused abt choosing b/w phycology and political science I don’t know what will benefit me ahead more!? Political Science will be slightly better. I wanted to ask that now what can I do so that I can achieve my aim……..?????? Focus on academics. You may start off by keeping tab on current affairs. This will help you start preparing for Civil Services exam. Go for a tourism related course after 12th. Not knowledgeable about schools and colleges. Sir,I m confused that whether I should go for arts or commerce… I am little weak in maths…and I don’t know how to take my decision… Please do help. Hello sir, my sister has just qualified her 10th board exams but her grades are not that good. She has scored just pass marks in maths, science and history -geography. She has done good in Hindi though! She is mainly interested in drawing and sketching but her sjetches are not that mature! I m confused about what stream would be best for her and subjects should she choose in that. She is quite shy and not that sociable. Can you help me please?? Its urgent!! In such cases, I suggest my readers a good aptitude test. If possible, consult a career counselor. They usually have effective aptitude tests. Make use of such a test to find the best route possible. i want to choose arts as i have no options, my parents are telling me to do commerce, but i want to do modeling career, which field is better for me? Technically, any stream will do the trick! I think your decision to go forward with PCB is good. If you put in the effort, you’ll go places! All the best! Please refer ‘Courses after 12th’ article on this blog. You’ll find many courses and careers over there. Career in Civil Services sector pays well, actually. hello sir i want to ask that after 10th m taking arts so in future i want become an actor so u can guide me about which subject i have to take in Arts stream i am lil bit confused!? Hi sir I am atul narzary i want to be an ias can u suggest me how to acheive my goal. which stream arts or science is better for it??? my name is vaishnavi thakre. i wont to do art in 12th std, but i have problem in marathi understanding, can i do art in full English medium…. It depends upon the policy of the board that you’re studying in. Hello sir I m not really good in maths but I love this subject should I choose non medical stream?? You may. But you’ll have to work hard in any stream! Any stream will do the trick. It depends on your aptitude and dedication. I want to be come a photographer so can I choose arts for this? Is it correct for becoming a photographer. I’m willing to choose Arts from CBSE 2017 from history or archeology to become a historian or an archeologish. So what further course should I do for this and does this profession has any career in India or not? You may do relevant BA, MA and PhD courses. sir i have just given my 10th nd i want to do some creative work. I want to make ads nd documentary so for that i want to go for bmm course. what should i do/take after 10th to go in bmm course. Hello Sir, I’m good at academics and i will surely score above 93% in my SSC Examination. I had chosen Science in unison with my parents but I’m also inclined towards arts as I’m good at English and enjoy creating and writing stuff. i would like to have your Guidance to help me choose a stream which would get me a high paying job if i excel in it . Since you are academically bright and have interest in science, I’d suggest the same. Hello Sir! I am soon gonna get my results of tenth grade. I wish to be a talent manager. Should I be going into the arts stream for that? My dad thinks arts is for the weak. He wants me to do science. But I have decided that I wanna be a talent manager only. What should I do? You may take arts, then pursue a good Bachelor’s Degree course and then go for an MBA! I am in 10th standard and I want to become an animator. Thus, I wish to study drawing in 11th and 12th but I also want to take maths and physics. I haven’t had any professional training for drawing and therefore I am not aware of the very basics. Could you please guide me that should I take non medical or arts? Also please suggest some good schools in India where my criteria could be fulfilled. You may go for non medical, complete it, and then pursue a good Bachelor’s course related to VFX and Animation. Not knowledgeable about institutes though. Technically, any stream will be enough! The minimum requirement to become a Civil Servant is – a Bachelor’s Degree from a recognized institute. I m a 11th class student and Somehow i took IT stream which includes 5 subjects i.e Hindi English, Pol Sci.,Web Tech. And IP. Now i m very much worried about My career…I don’t know which course me Must go for after 12th..Plz guide me ! I m looking ahead for a good It professional course for me.. i hav good technical and developing skills… and seaching for Web Designing or software developing course for me.. Please Guide as much possible as you can. Writing this with full of hope for your response. A Bachelor’s Degree course like BCA will be good for you. You may follow that up with an MCA or an MBA Degree. I am interested to apply for IAS exam but not able to decide which stream to choose or go with liberal studies after 10th. Please help me ..
sir, i got 61% in my 10th boards and i am confused about choosing the stream i do not like maths at all. which stream should i choose sir? Hello Sir ! This year I passed my 10th boards with 78% and I am interested in music and I am thinking to opt humanities/arts as my subject in 11th and 12th but I think what if I don’t get successful in what I think…..I should have an another option in which I am interested…… and I am really very confused about my career other than my singing career…..
It’ll be a great help for me if you advice me in what should I make my career in…. I appreciate your article. It is very informative and useful. My daughter is in class 10th (CBSE). She got great interest in school counseling. She has a great communication skill and always motivate others. Sometimes we also surprised by her judgment about human physiology. She also wants to social work by motivating poor, needy children. What course would you recommend for her? I ward has just cleared Class Xth with 7.2 cgpa. His %age went down basically due to Maths due to which he could concentrate on other subjects. He likes science but he fears Maths very much. He does not have taste for Commerce either. In arts he is good in History only. After a number of counselling he confirmed us that he wants to take Science + IP without Maths. Looking at the above scenario what would you suggest him to choose wisely so that he can build a very good career? Sr I just passed my tenth standard exam and got 90%marks .My science and maths are not good so I want to go through arts can u suggest some sub in that.. I am a 10th class student and good at academics and thinking to opt a career for IAS. But I am a bit confused about which stream to take because I am good in PCM as well as in social subjects. Please help me out as I am going to take admission really soon. hello sir, i just passed my 10th and i was thinking of doing hotel management but im confused about which stream to select and mostly looking for arts but again confused about the subjects . I wish to enquire from you if there is any vacancy for Arts side. I am student from KV THANE , who has passed class 10th, I scored 7.6 CGPA in 10th board exams and I wish to apply for Arts side at some place with borading facilities in Mumbai or Thane and even at Pune. Please advice me as from which date the forms for Admission will be issued. Please send me this information, I will be very much thankful to you sir. hello sir i have scored 84% in my ssc examinations and planning to take up psychology as a career option is it a good choice? Hello sir,as I observed you are giving gud suggestion to all so I hope you will suggest me too actually I’m weak in maths n my interest is in modelling n acting so arts is gud fr me? Which subject i should choose in 10th…?? Respected Sir, My name is Aditi, I’m in 10th grade and I want to become a travel journalist. Writing is something I love doing and traveling gives me peace within. I sure am going to opt Arts but what subjects should I select to study for these two coming years and maybe you could advice/suggest me what to do and where to go after I complete my schooling. Thank you so much. Hello Sir,can you tell me more about the field of archaeology? Hello sir I have just given my 10th and I have secured 93.6% and I want to pursue arts and study psychology so can you tell me what scopes are there and should I do any extra classes for it? Hi sir, I have completed my SSC in the year of 2006 with 35% & now I want to complete my HSC, I want to go for arts because want to do something in acting field, plz suggest me, I really need guidance, it’s been a decade I’m not in touch of studies at all. I secured 98.7%in my 10 board exams and is very much interested in journalism but my parents want me to be in medical….. They say there is no future in arts stream n it’s only for dull students… What shall I do? Plz do suggest me something. Sincerely looking forward for your reply. Hello sir, I’m currently studying in 10th grade. I tend to procrastinate a lot due to which I get very very low grades in school except English. I’m very very weak in mathematics too… I’m interested in studying Music and pursuing my dreams outside India. Would you please like to guide me on what to do and what not..I’d be really very grateful if you guide and help me. My son passef by 62 percent but by mistake we took admiission in college wrre psychology subject is not available. Sir I have cleared 10th by 90% from cbse board.I have taken science stream to complete civil engineering which I like,but my another hobby is to complete my phd in psychology.so can I do these both things together after 12th? Sir, i am doing 12th arts with maths..n i m very interested in studying maths…i choose arts with maths coz i wanted to bcom a maths teacher…coz i m not interested in science but now i am told that i cant do it without sciences is it? Sir which course I got higher salary packeged in arts stream after 12.my brother suggest me that I take after 12 mass communication. Sir I have passed my SSC and I have got 64% in my board exam so sir I have decided to take a arts streem so sir I want to do a event management so u will explain me what dos it required money whichcourse can I do and what is it’s salary sir plz give me full details about event management sir plz i m confuse and plz sir..
Sir,I’m in 10th grade right now & I seem to be really confused about my career . Im really good in science & plan to take science stream next but im also interested & also strongly want to pursue in my singing & acting carrer .But I wanna do something like where I would be able to do some good job as well as have a successful singing & acting career. I know this sounds bit freaky but still I really wanna prosper in my future. I am in 11th class student and I took fine arts because my aim is to be a interior designer. I just wanted to make sure that is it okay to take fine arts stream for interior designing? i am in 10 standard and these days i am searching all about th e stream of arts.. i am really passionate about painting . but i am very confused that what will i do after 12th . i don’t want to be a fashion designer or else .. m not clear that what should be my next step after completing 12th .. i know i am talking about it really early but i want to know.. please do answer me sir..
Sir, my brother is in 11th standard now. The particular school has no political science subject. Will there be any problem in further studies and getting jobs? i complete my ssc then i took a admission for iti that also i completed after that i lost my one eye in accident, so now what can i do?? can you please help me because in mechanical field handicap is not allowed. Any stream will do – Arts, Commerce or Science. Any stream will do – Arts, Commerce or Science? sir please guide me which subject i take??? hello sir im a grade 10 student from dubai studying in cbse board i want to be an archeolaagist and im very much passionate about it so what stream should i choose and is there any scope for it in abroad and india bcoz many ppl tell that there is no future in studying the past so pls help. im a student currently studying in 10th grade. 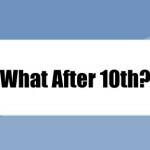 im in a confusion as to what to take up after my 10th. i would like you to tell me which career will be more good and which courses should i take for each one of them. May I know your likes (academic) and strong subjects? I’m a 10th standard student and I’m good at writing and oration and I’d like to opt for an M.A , Ph.d in literature . I’d like to know the career scope for the path i chose. Also, what can be an alternate education stream for my capabilities? hoping for your response. Thankyou! Hello sir! I am in 10th now and i am very much interested in music and i want to take arts but also i am very shy nd stage fear….also i am not so very confident…..so can u plz suggest me..?…what should i do? I’d say – overcome your fears and pursue your passion! Very true. If you overcome your fears, you can achieve anything. sir i’m om luhar and soon i’ll be appearing for S.S.C board examination. but im confused that what should i take in arts for becoming and architectural designer. which stream should i take? If you are passionate about it, proceed with it. Success will get to you! I am a student in 10th grade. I’m very confused about my ambition. I want to work as a criminal investigator in cbi but i do not know the courses and streams to be taken for this. Also, to broaden my choices, can u please tell me the scoping fields of today. Usually Graduation in any discipline is required to join this organization as an Officer. Pursue BA and follow it up with higher Degree like MA in English. hello sir! i m soumya nd i want to bcome a psychologist and m very much interested in this subject but i dont know that i may pass in 10th or no nd this year is board. If i pass so in psychology, which stream shud i choose? there r many stream but which one may i choose…..? I’m good at English & Computer ……Than what can I do. Please suggest me what should I do ? I am studying 10th standard. I am a bright student. I score good marks. I am good at languages. I can learn any language easily. I am very good at English and Hindi, and I want to study these languages. I am interested in literature because I am good at writing. I am also interested in journalism. My father wants me to become a journalist, just like him, which is OK for me. I like it and I also help him with the news sometimes. My mom wants me to become a professor (of either English and Hindi…… because I like them) because there is a good earning in it. It is also OK for me because I like to teach. The good thing is that my parents do not force me for anything. They told me the professions which I like. I know they’ll support me in any field because they trust me. As all these professions are related to languages, so I decided to take Arts in my 11th standard. They have also advised me for IAS, as I am a bright student. I am OK with it too. Actually, many people have advised me to go into Civil Services. My problem is that I like all these things and I am not able to choose any one among them. I can do all these things well. But I am confused about the profession I should choose and go ahead to lead a good life. I request you to please help me choose and one and advice me how to reach it. I’d be waiting for your reply desperately. I hope you’d guide me. In most cases, one has to live with the job he/she chooses for the rest of his/her life! If you are a bright student, I’d suggest you to take a shot at Civil Services. The job will help you bring a change in the society. It is very satisfying profession. Hello sir! I want to become a fashion model and also get into film industry, so is it okay if I take up Humanities as my stream? And also another question, what do I have to do after 12th if I want to get into modelling? Yes, it is okay. You may attend workshops, training classes etc to get into this field. You may pursue professional arts courses like BA and BFA after 12th Science too! I’m not sure about the electives and limitations present in each state boards. It’d be better to enquire at the state edu board of the relevant state. Sir I m totally confused in choosing the subject after my tenth.as I am good in maths,science as well as sst.i can understand maths after understanding the concepts and doing different types of questions related to that concept.but most truly if am given question of some practical aspects I can’t solve it quickly.i can understand science very quickly and I take keen interest in bio and my basics are cleared in science but the subject which makes me different from others is my sst.I read sst quite interestingly but most truly my general knowledge about what is happening in our nation,economy,etc is somewhat poor.so according to you which subject should be chosen after my tenth??? I think you should proceed with Science stream after 10th. I’m not knowledgeable about the reputation and rating of colleges! It depends on how you approach the subject and tackle it! I am in 10th std now..I hate math and other science subjects.I love geography and English.is there any future for geography in arts? how does taking pol. science in 11th help ? does it give you an edge in any future career options?? Depends on what you want to take up in future. Might come handy in some competitive exams in future. N m interested in interior designing n architecture… so cn i do these both courses at similar time..?? M good in drawing in sketching.. bt poor at maths…. so if i cnt do these both at similar.. thn which one shld i choose..?? N fr tht which course shld i do..?? It’s better to choose one course. B.Arch. would be better. Just my suggestion though. i have complete 10+2 with art stream can i get iti in machenical trade because of now m working in the field of hvac so can i get admission in machenical trade please sir as soon as possible give me better option what should i do? Hello sir! I am student of class 10th. I am very much interested in studying Sanskrit literature. Could you please suggest me some colleges to pursue for Sanskrit? I am a arts student and I am interested in interior designing and it need to clear exams like NATA, CEED, CEPT for Admission in reputed institutes but in case of CEPT course, 10+2 passed in Science stream (mathematics group) is necessary!what should I do??? Try for other alternatives (other than CEPT). Hello sir i scored 95% in 10th icse. And I have opted for pcm in 11th but realised that its not my passion and wouldn’t want to continue with it. I am interested in acting and dancing but my drawing and painting is poor , should I still go ahead with it? You want to build a career in acting/dancing areas? I am currently in class 10th and appearing for the board exams this year. I am good in Maths and Science but am not interested in it . I prefer Social Studies and am interested in Psychology. My parents are asking me to opt for Commerce in class 11th as we don’t have any specialised school for Humanities here. Economics and English would be the common subject in both the streams, Arts and Commerce. We came to know about a school, offering Humanities, but it does not offer Psychology. Should I take admission there, or study Commerce? Which stream would be suitable for me? You may proceed with commerce, if psychology option is not available near you. Sir i m in 10th standard in full English medium. I want to give UPSC. Can I take arts in 11th standard. But I m week in Marathi…. 11th arts syllabus available in English? i m very confused,can u give me details? You may pursue course such as – BBA in Event Management. Hi Sir. I am going to give my 10th board exams this March and I have made my mind to take up arts. Can i do fashion designing if i take up arts? Hi sir ! I’m Tanishq Sir, I have passed my 10th in 2015 than i dropped two year of my Education. Now, im confused to take admission in NIOS (National school of open schooling) for 12th.. so, sir According to you.. what should i do ? should i take or not ? I am a FYJC Arts student, I m studying psychology and maths and I want to make a career in one of these subjects. Can u suggest me some courses which I can do before my 12th board exams. There are professional beauty courses offered by various franchisees. But also pursue formal studies as a backup plan! I am preparing for my boards exam but I am not interested in studying though I get average marks which is insufficient for my parents. I love to do painting and other craft work. So please help me with suitable guidance that what should I do further after giving exams. Please take me out of this critical situation. Arts stream will be of use to you. Im currently in class 10th and appearing for tje boards exam this year. I want to be a psychologist but im not intrested in chem and phy so by taking humanities stream can i become a psychologist .